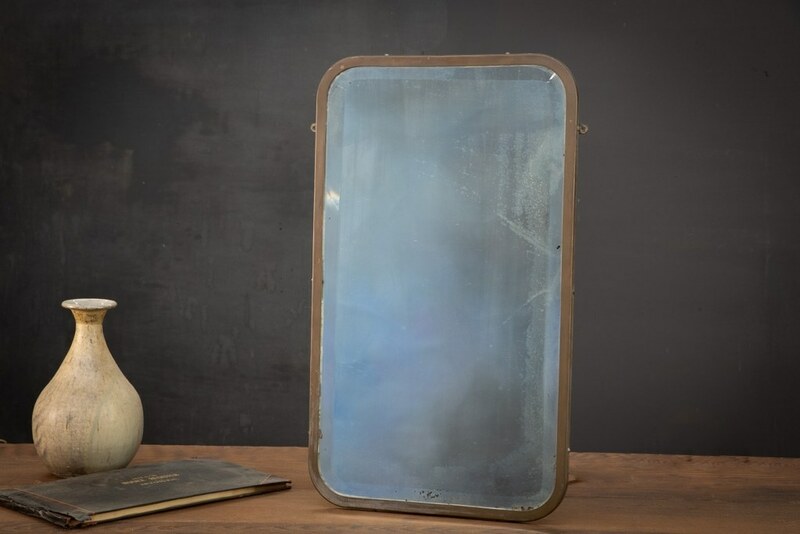 USA, 1920s, Early Nautical Wash Closet Brass/Nickel Plated Hanging Mirror. 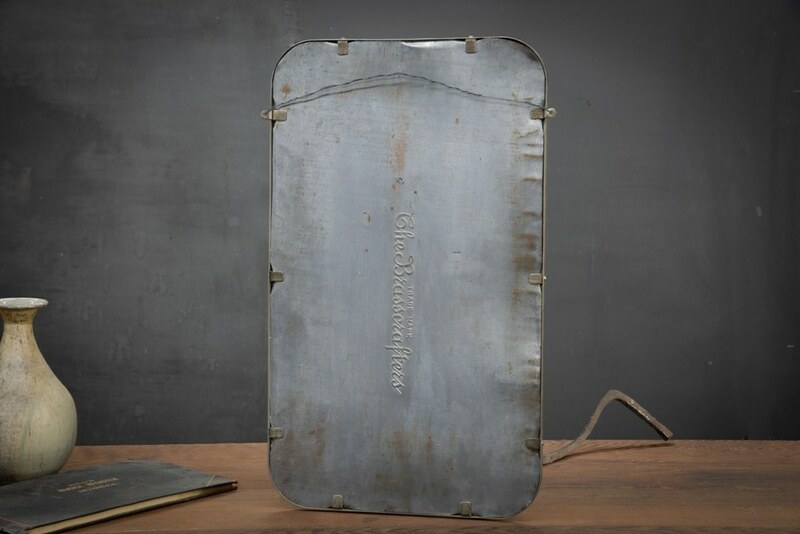 Old Deep Bevel Mercury Mirror. Embossed Tin Backing. 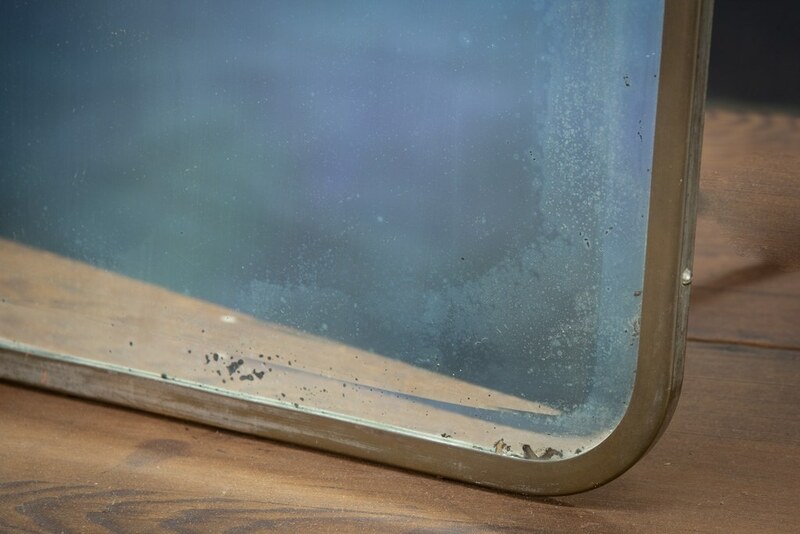 External Brass Hanging Tabs. Rich Patina. W: 17 x H: 25 in.